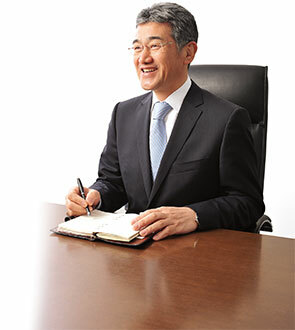 President's Message | Hamari Chemicals, Ltd.
Our target market has expanded beyond Japan to include the US, Europe, Russia, Asia, South America and Africa. We have received support from numerous clients, amassed a great deal of experience and built a sizable company history. This has resulted in a wealth of experience gained from clients worldwide, and continues to add to our list of notable company accomplishments. We have also mastered an extensive range of technologies through various discoveries. The diversity of company projects has allowed us to master an extensive range of technologies. In addition, we have enjoyed much success in developing new chemicals and grown in our role as a company brimming with original ideas, such as receiving approval for our manufacturing process patents that garnered praises on a global scale. In addition, the originality displayed by our company scientists has resulted in the commercialization of new chemical entities. These efforts have been granted manufacturing process patents that received worldwide acclaims. Our goal for the future is to continue growing as a company that consistently cultivates unique technologies, make the world a better place and move forward with integrity and conviction to become a unique global force blessed with the trust of our customers.